Every pool owner wants their swimming pool to be safe, and enjoy a relaxing summer in the sun, lounging poolside. At Safe Defenses we know a thing or two about pool safety, in fact, it’s all we do. So who better to give you a few tips on how to achieve your goal of a safer swimming pool. Continue reading this article for some helpful tips. How to Achieve Better Pool Safety? Fence it Properly. Be sure that your fence is up to code and able to protect your pool. Rotting, or substandard fencing materials should be replaced with the safest pool fence possible. Hear it Properly. Adding a swimming pool alarm to any exit that gives access to the swimming pool will make sure that you hear unwanted visitors heading towards the pool. Lock it Properly. Even the best swimming pool safety fence is only as good as the lock on the gate. Make sure that your locks engage and if necessary a padlock will give you that extra layer of protection between little ones and the swimming pool. But be sure to always lock it properly. Educate Properly. Be sure that everyone in the home has at least basic water safety skills, and if possible take a CPR class to ensure that basic lifesaving skills can be used should that ever become necessary. 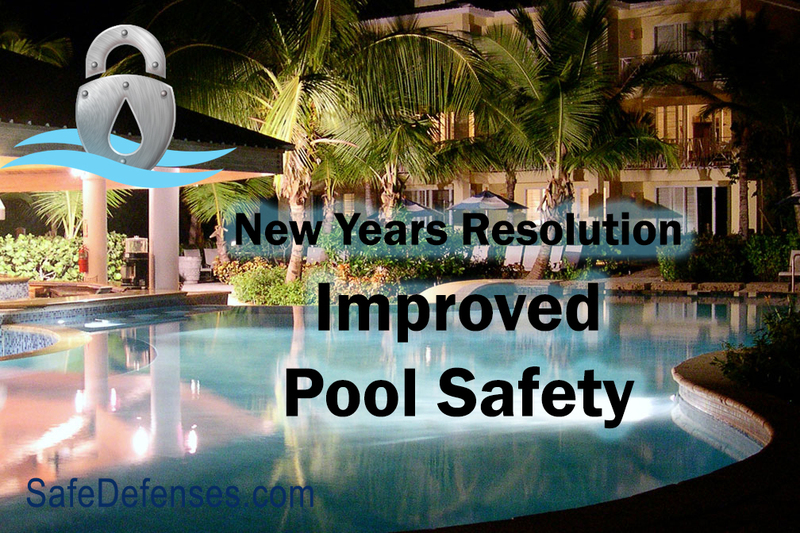 At Safe Defenses our goal is zero drownings, and with extra pool safety that goal can be achieved. Whether you have a residential swimming pool, a commercial property, or just little ones that you want to keep safe, safety is everyone’s responsibility.